One might suspect that a Star Wars book written in the style of William Shakespeare would struggle to hold the attention of the reader. One might even suspect that it would be half-hearted, and unnecessarily focused on taking itself none too seriously. Happily, Ian Doescher’s latest Lucas/Bard mash-up is very enjoyable, and serious enough that it becomes difficult to put the book down. Of course, if you’ve decided to have a go at this, you’re likely to have read Doescher’s previous four Shakespeare Star Wars books. It’s hardly likely that a new reader will decide to have a go at the series and reason that the best place to start is Episode Two. I mean, who really decides to start a story right in the middle? It is, however, likely that, having read the Original Trilogy versions, a Star Wars fan has decided to pass entirely on the Prequel offerings. You should give them a go, though. 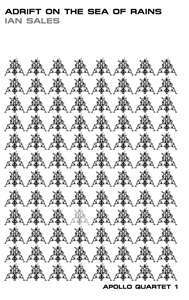 The Clone Army Attacketh is just as good, just as original, just as gripping as the original three. In fact, the Shakespeare version of the Anakin-Padme love story is infinitely easier to read than it is to watch the Lucas original. That sort of only-just-met-you-now-I-love-you declaration just plays out far better in Elizabethan English. It’s also pleasing to see the language of the characters switch from the common Iambic Pentameter to flat prose (for the Fetts), and the curious nine-beat rhythm of Jar Jar or five-seven beat of Yoda, adding a depth of Shakespearian authenticity to the writing. Doescher plays to the Shakespeare fans as well, throwing in little nods to the Bard’s work, the odd line here and there, or, in the case of the Acklay, Reek and Nexu, entire characters (they become Macbeth’s Witches). 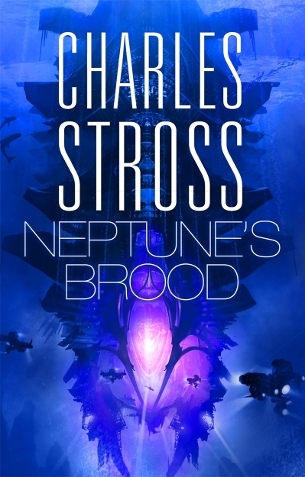 His use of metaphor is excellent, and the inclusion of Rumor as the voice of the Dark Side lends a sinister air to proceedings to match the darker themes of the movies. 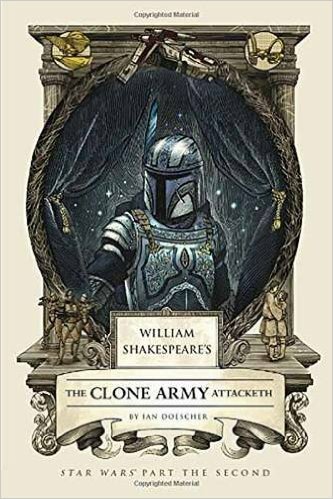 In short, even if you hated Attack of the Clones, if you liked the Galaxy Far Far Away’s first three visits to Elizabethan England, you’ll love this one too.